Product #1794 | SKU 349 | 0.0 (no ratings yet) Thanks for your rating! The Manfrotto 349 Column Clamp is a versatile clamp that can be securely fixed to any solid surface or bar with a thickness of up to 55 mm. 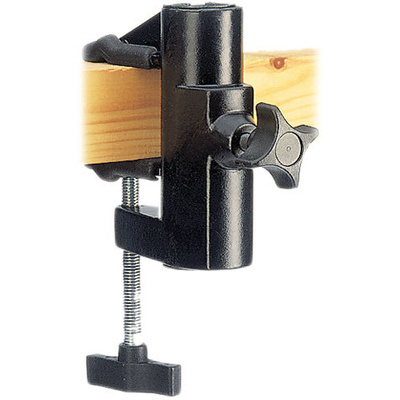 The 349 Column Clamp accepts the centre columns from the 190 and 055 series tripods. The column with tripod head is inserted into the clamp and locked in position at the required height. Ideal for nature photography, or as a support for scopes or binoculars. Replaces old part number 3424.